Adi is a humanitarian; a driving force for peace and a true inspiration to all. Having founded Chernobyl Children International (CCI) in the aftermath of the devastating 1986 nuclear disaster she has been the driving force behind what started as a small fundraiser, escalating into a humanitarian organisation that has raised €100million in aid. When she first heard about the catastrophe Adi began to host tea parties to raise money for those suffering from the devastating effects of the nuclear blast. But she soon felt she needed to do more to help, especially for the children left with serious health consequences as a result. Adi initially went over to Chernobyl with other volunteers from UNICEF, intending to donate items and to bring money to the devastated region, but she ended-up staying for six months and giving aid to more than 10,000 people. She has travelled the world to continue shining a light on the plight of the Chernobyl children, giving inspirational talks at the UN. Her unshakable passion and steadfast determination has ensured that those still living with the horrific effects of the nuclear blast are not forgotten. Under Adi’s leadership the CCI has grown to become an organisation that has helped 25,000 children enjoy recuperation in Ireland as well as providing 3,500 life-saving cardiac surgeries over the last 12 years, in addition to a host of other life-changing programmes. In a bid to raise awareness Adi also collaborated with friend Ali Hewson to bring the documentary Chernobyl Heart (2003) to the big screen. The Oscar-winning film takes a look at children born after the disaster with deteriorated heart conditions. 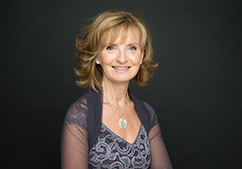 In recognition of her outstanding humanitarian efforts Adi’s Pride of Ireland award will join a clutch of accolades that acknowledges her lifetime of devotion to the children of Chernobyl.